GALION — These services have been announced by the Galion Ministerial Association:Sunday, Feb. 25 at 7 p.m. – Community Christian Church, 6195 Ohio 19 (Ohio 19 and Biddle Road), Galion. Phone: 419-462-5683. Deacon Greg Kirk from St. Joseph Catholic Church will minister; Sunday, March 4 at 7 p.m. – St. Paul United Methodist Church, 746 Cherry St., Galion. Phone: 419-468-4557. Rev; Simon Avila will minister; Sunday, March 11 at 7 p.m. – Peace Lutheran Church, 129 W. Walnut St., Galion. Phone: 419-468-3141. Rev. Darrin Harvey from First United Church of Christ will minister; Sunday, March 18 at 7 p.m. – Wesley Chapel, 260 Sixth Ave. (corner of Sixth Avenue and Oliver Street) Galion. Phone: 419-468-3930. Dr. Dan Turner from Community Christian Church will minister; Sunday, March 25 at 7 p.m. – First United Church of Christ, at 248 Harding Way West, Galion. Phone: 419-468-4380. Rev. Richard Genzman from Peace Lutheran Church will minister. 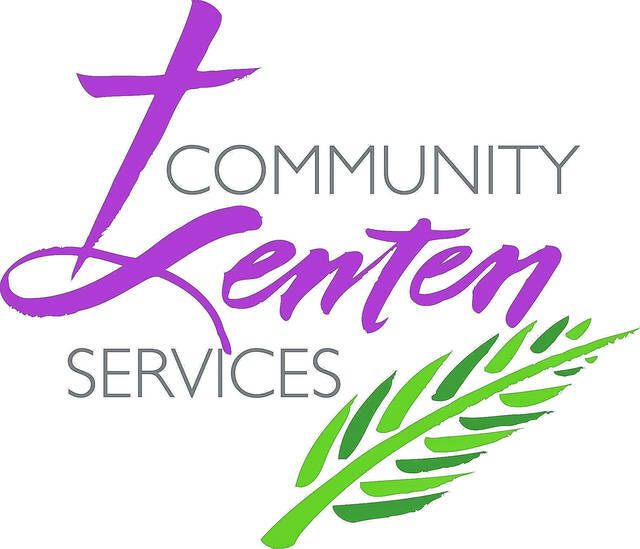 GALION — The grief support groupat St. Paul United Methodist Church will have a community presentation titled “When Priorities Shift After a Loss” on Thursday, March 8, from 7-8:15 p.m.. Amy Billa, MA, LSW will be our guest facilitator. Amy has travelled the country leading programs on grief, loss, and end of life issues. All are welcome and no registration is required. This program is a gift to the community from St. Paul United Methodist Church and Community Counseling Services. For information, call Kathy at 419-468-7977 or Mary at 419-845-3195. GALION — The Knights of Columbus’ second fish fry of the Lenten season is March 9 at the St. Joseph Activity Center. The final one of the season is March 23. All are from 5-7 p.m. at 115 N. Liberty St. in Galion. Dine-in and carry-out service is available. The public is welcome. IBERIA — Registration for Spring Semester courses at Ohio Central Bible College is Saturday, Feb. 24 from 9 a.m. to noon at Iberia Presbyterian Church, 8607 County Road 30 in Iberia. Adults with a high school diploma or GED can enroll in New Testament Survey (Moore); Church History (Crabtree); and The Life of Christ (Phillips). Christian and Community Service (Schultz) will be available, free of charge, to those enrolled in New Testament Survey. Classes will be held on 12 Saturday mornings from 9 a.m. to noon from March 3 to May 26. There is no class March 31. Visit www.facebook.com/Ohio-Central-Bible-College; www.twitter.com/Ohiocentralbc; www.ohiocentralbiblecollege.org; or phone 419-946-5576 for more information. All are welcome to attend.